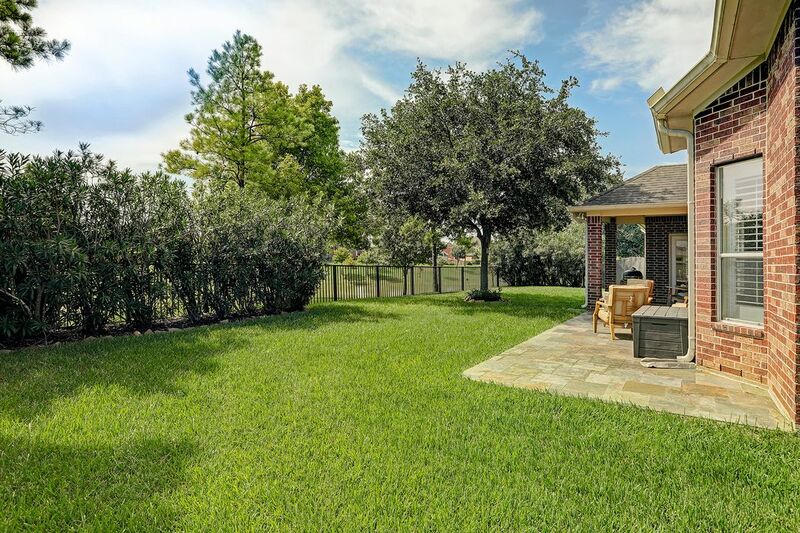 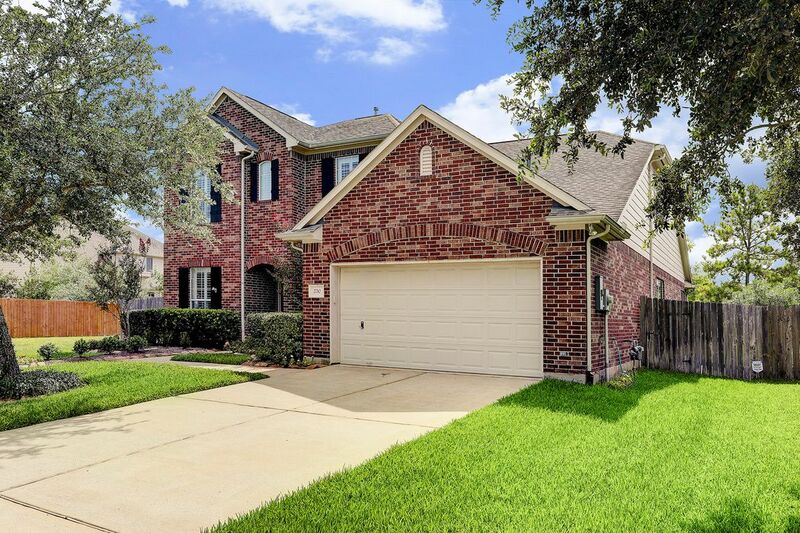 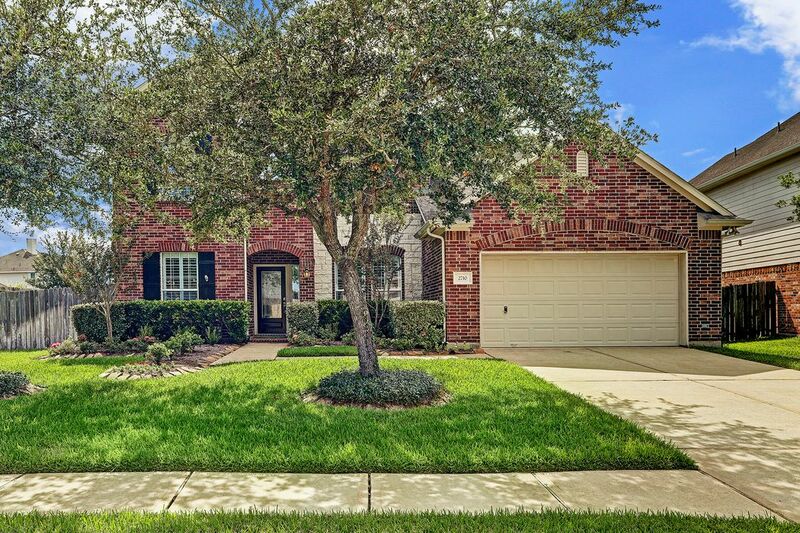 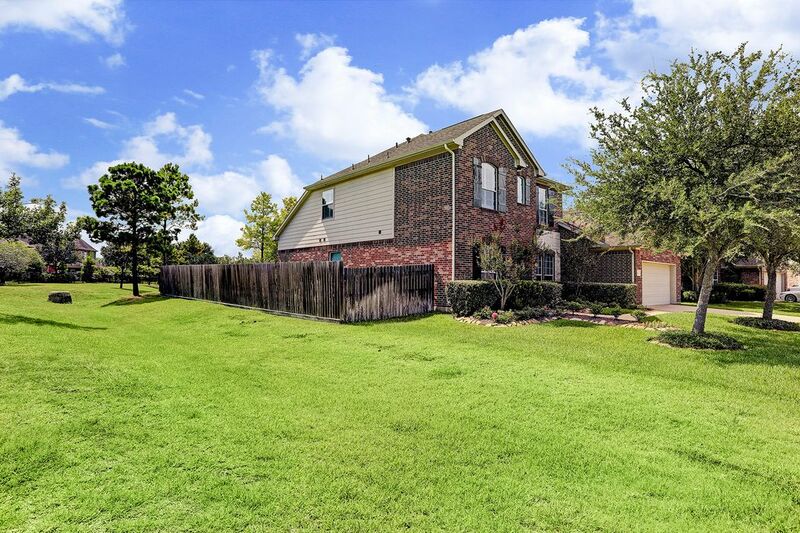 2710 Catalina Shores Drive, Pearland, TX 77584 | Martha Turner Sotheby's International Realty, Inc.
$329,900 4 Bedrooms4 Full Baths3,510 sq. 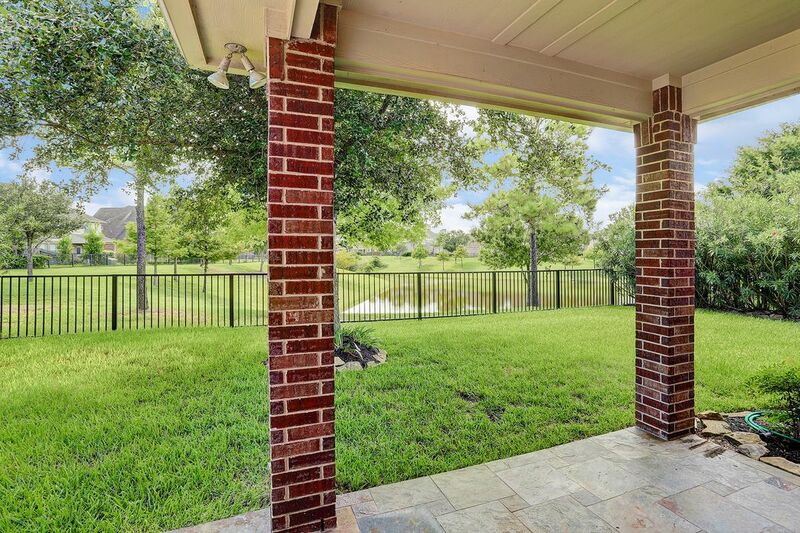 ft.
Zoned to the new McNair Middle School. 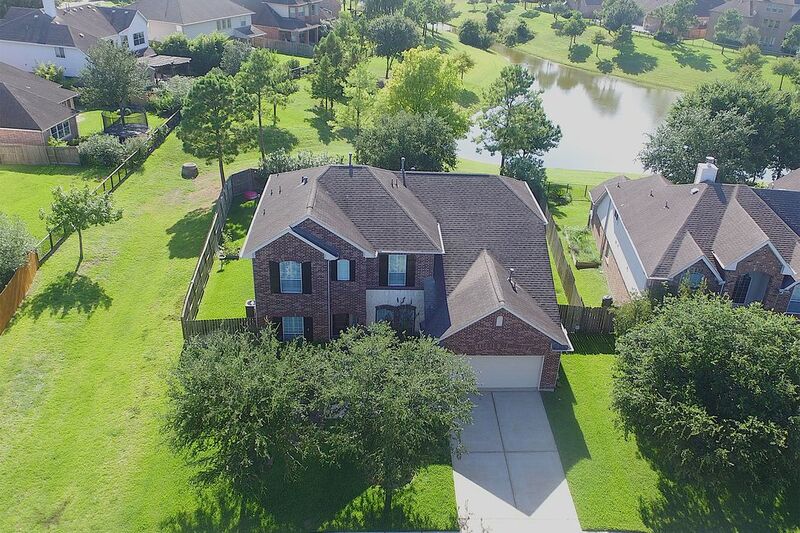 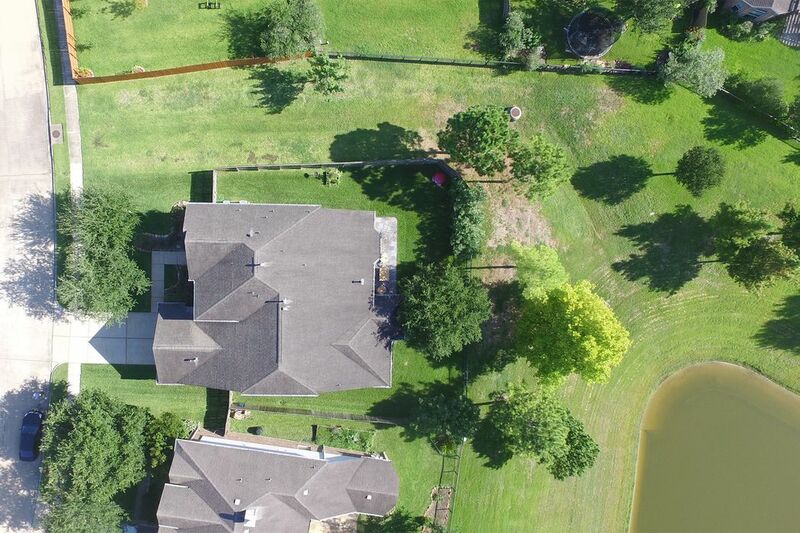 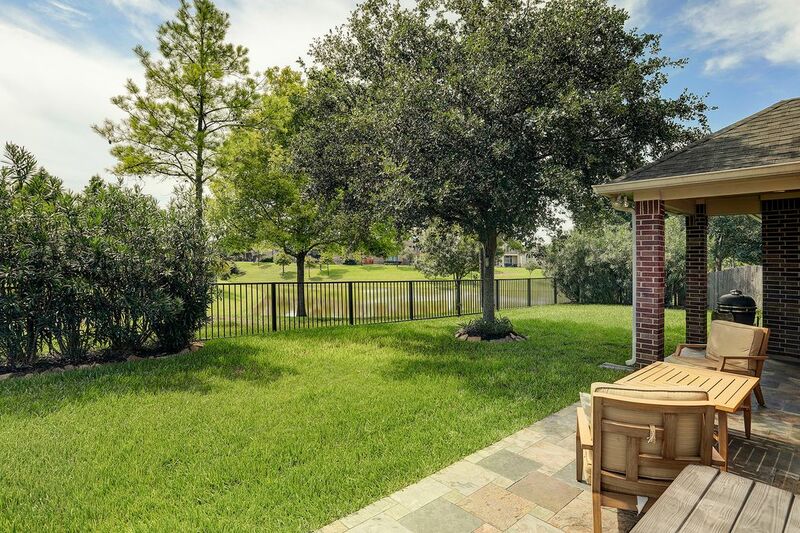 Beautiful ready to move in home on lakefront lot in Shadow Creek Ranch. 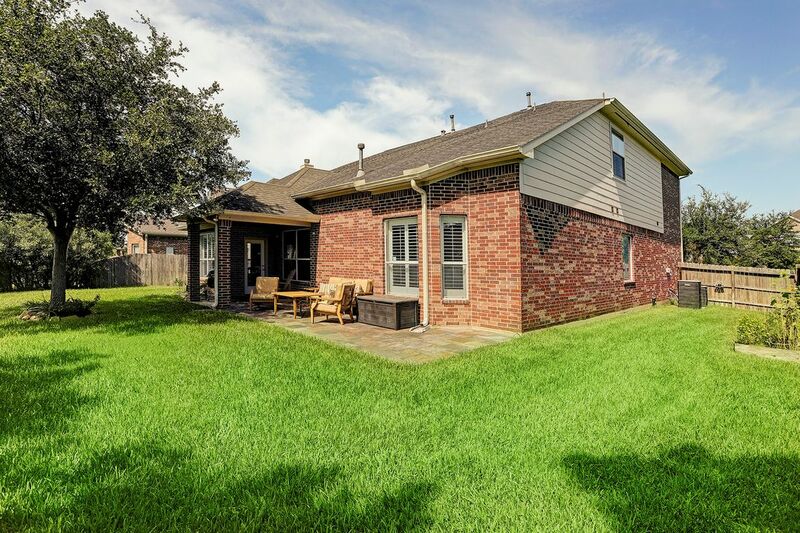 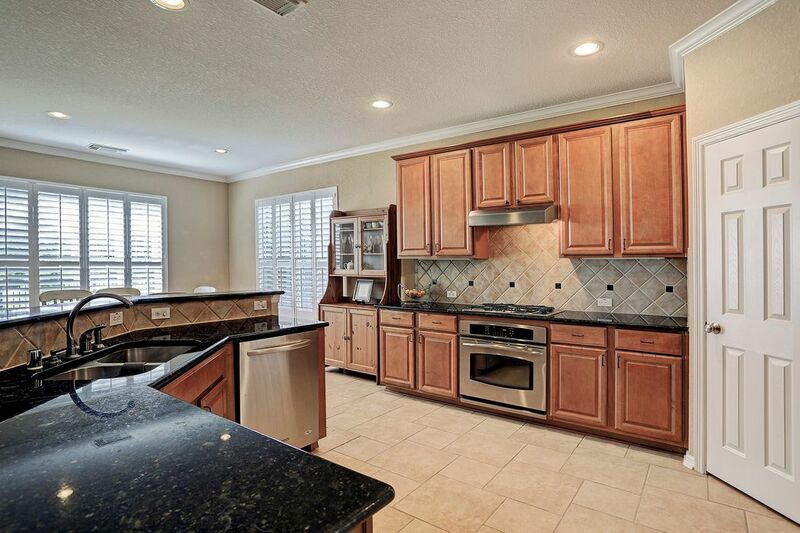 Located on a quiet cut-de-sac lot, this home has everything you could want. 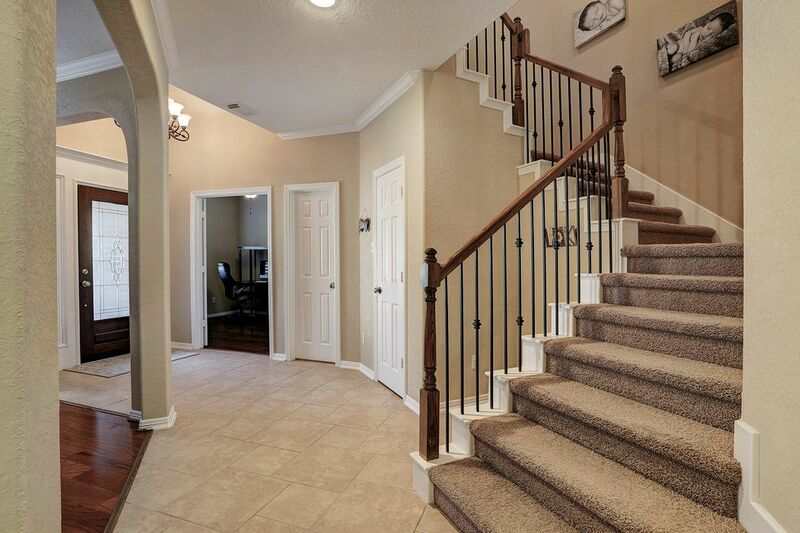 Upon entering, a 2 story entry with cascading staircase awaits in addition to a home office, separate living room and formal dining room. 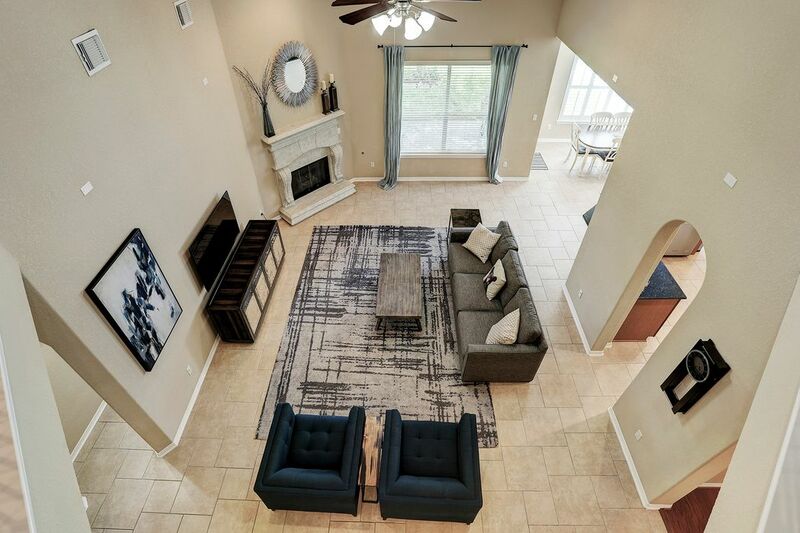 Sprawling 2 story family room with corner fireplace and view of backyard and lake. 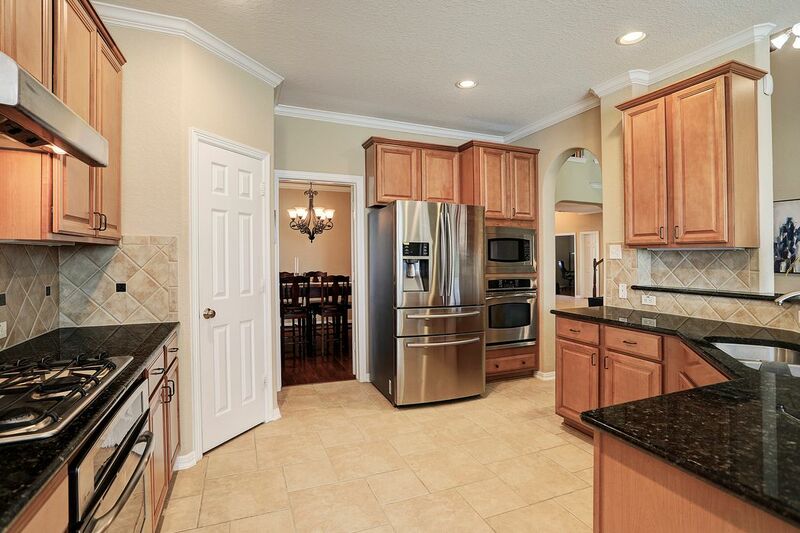 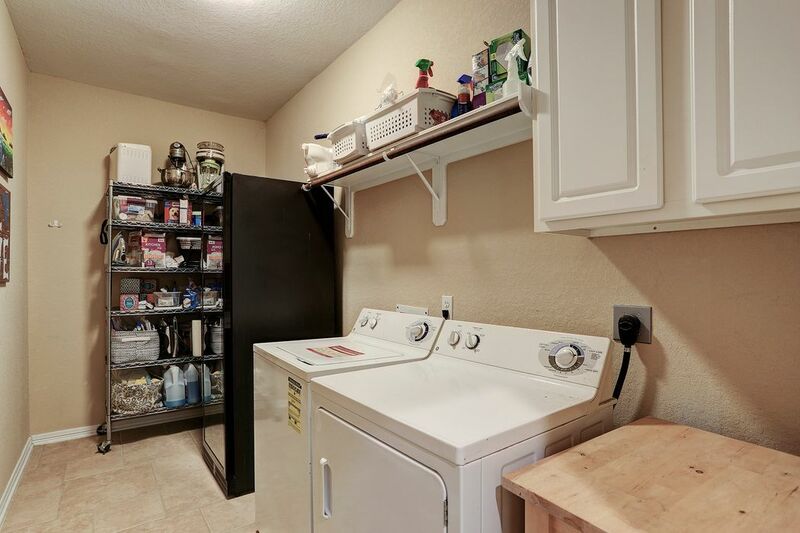 Baker’s kitchen with double ovens, plenty of functional workspace (refrigerator included). 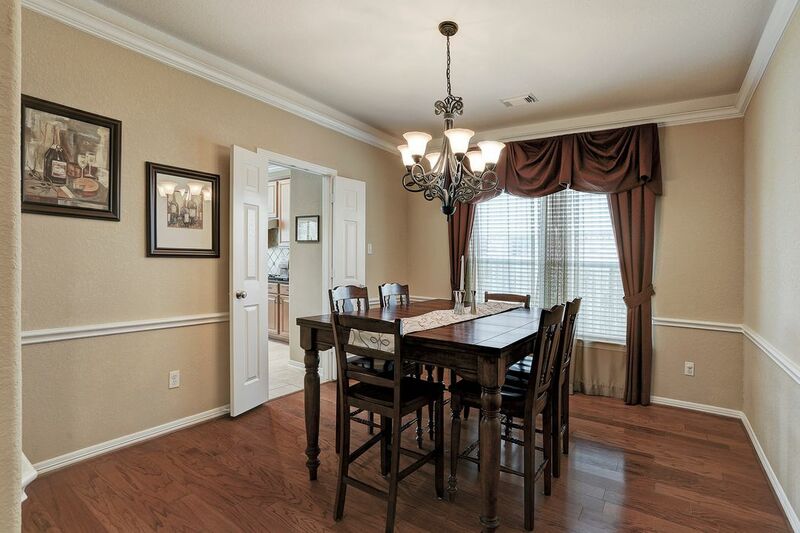 Owners retreat features seating area, wood floors and view of back yard/lake. 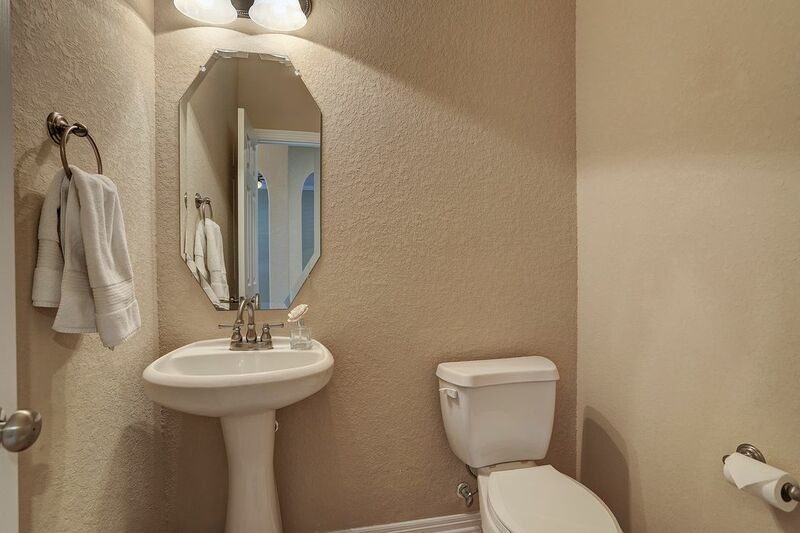 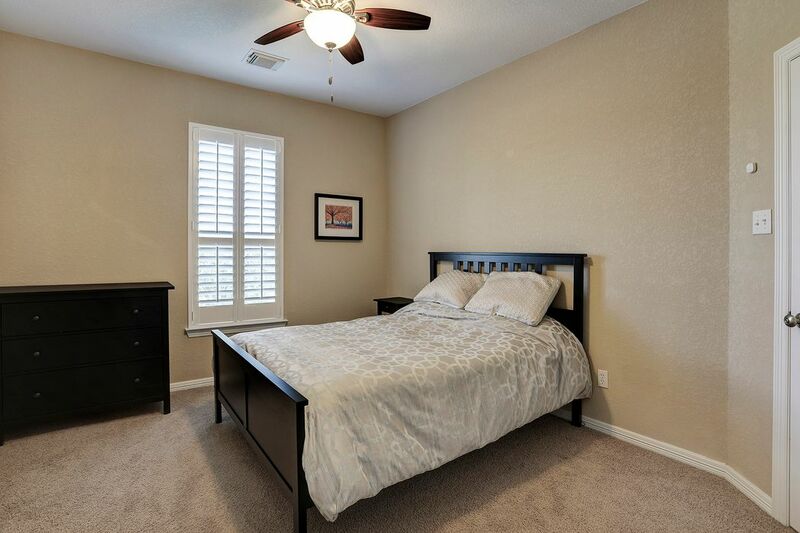 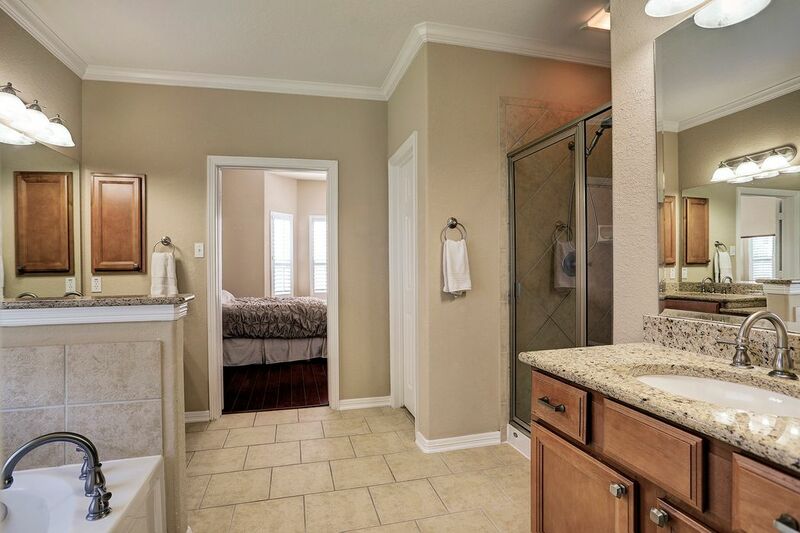 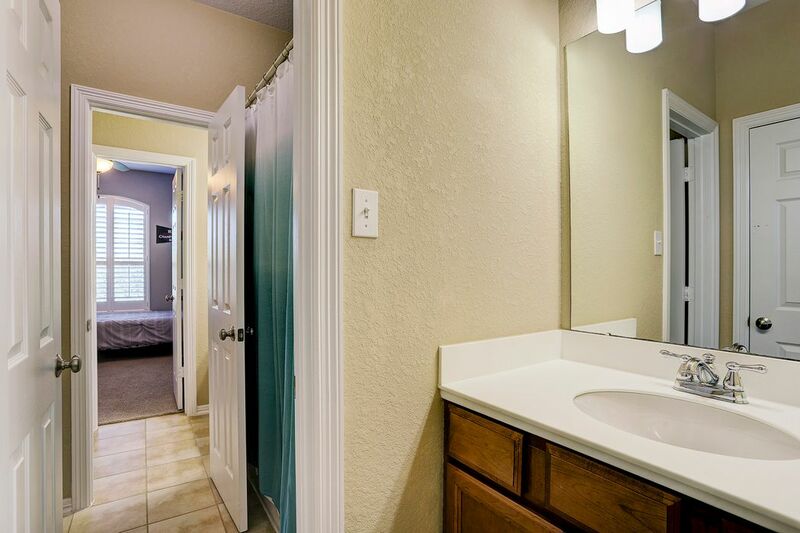 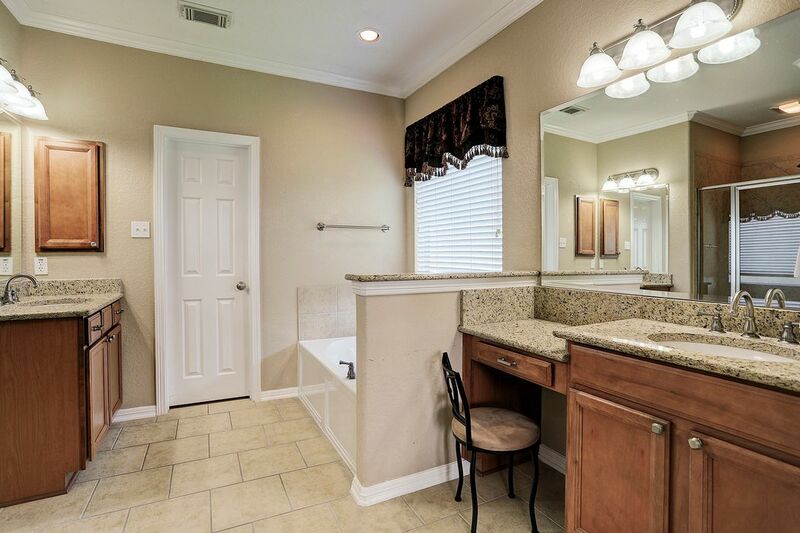 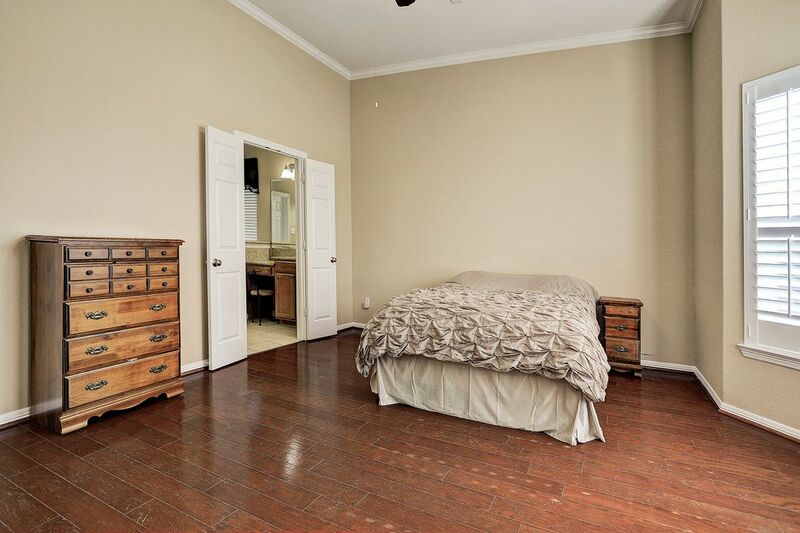 Owners bath features relaxing garden tub, large shower, dual sinks with desk area and enormous walk in closet. 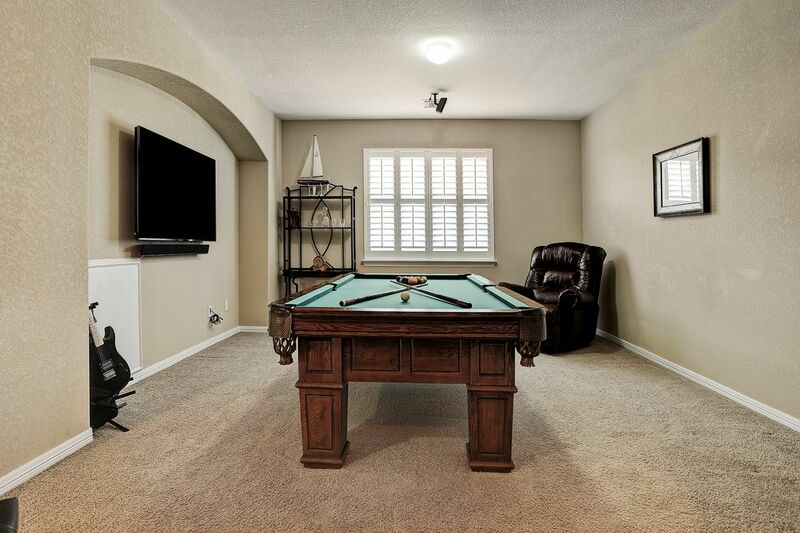 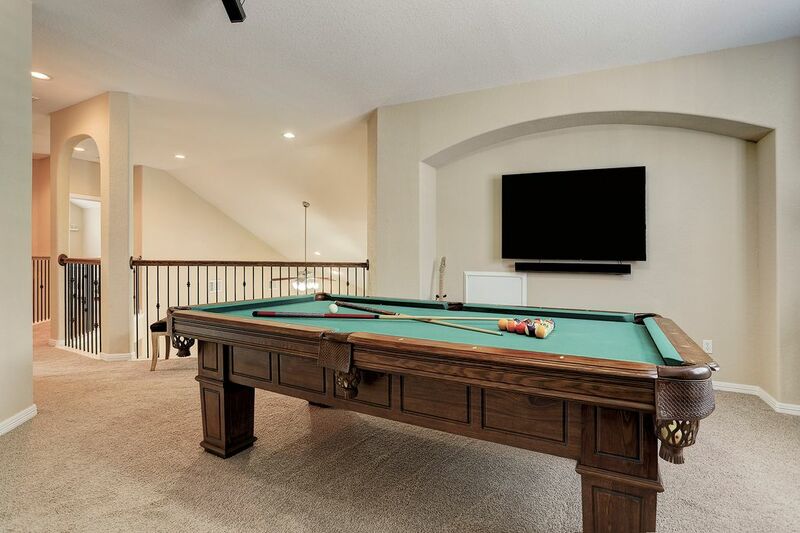 Upstairs features 3 bedrooms (one with en-suite bathroom), game room large enough for a pool table and open view of family room below. 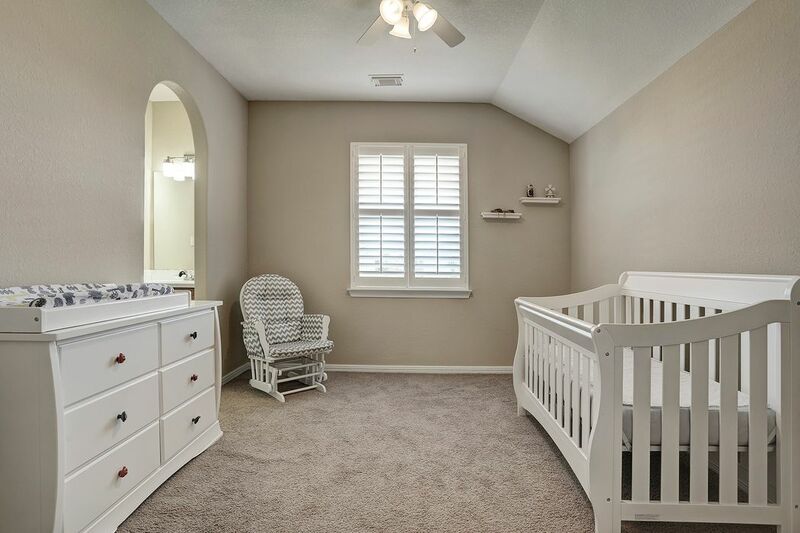 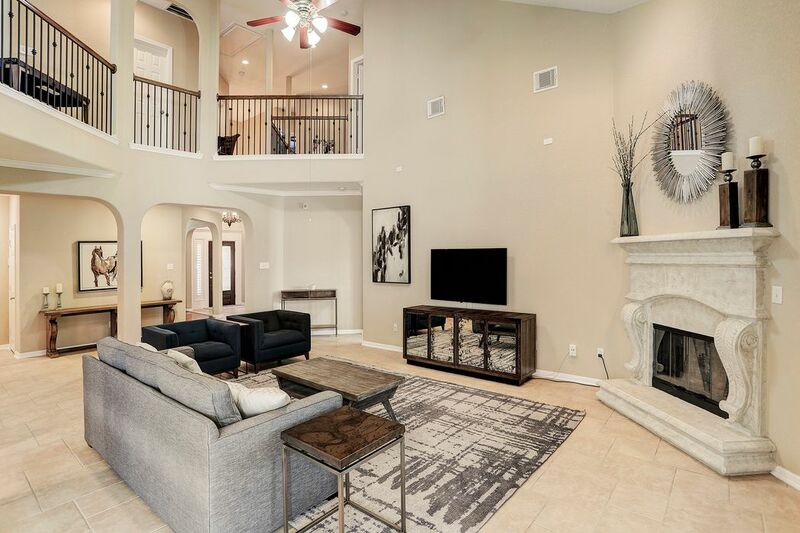 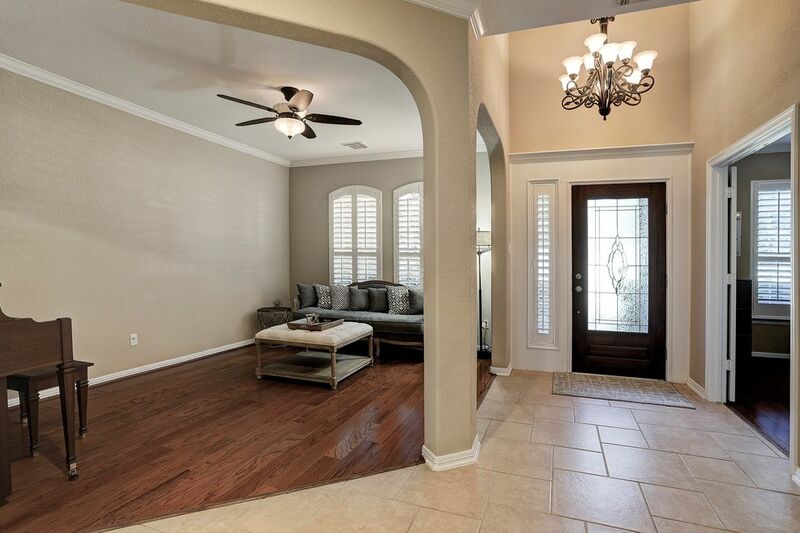 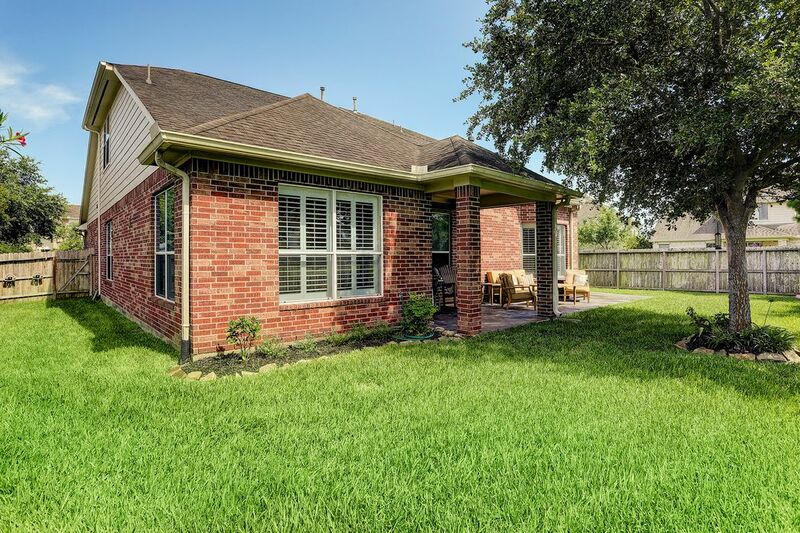 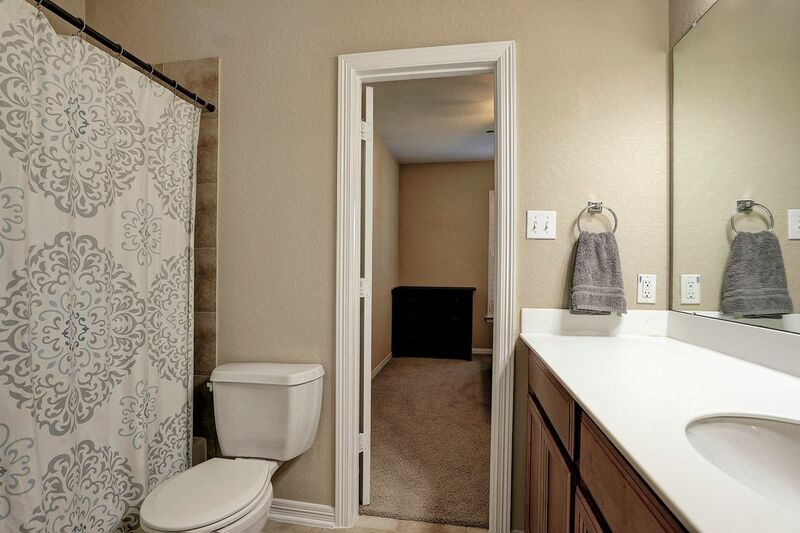 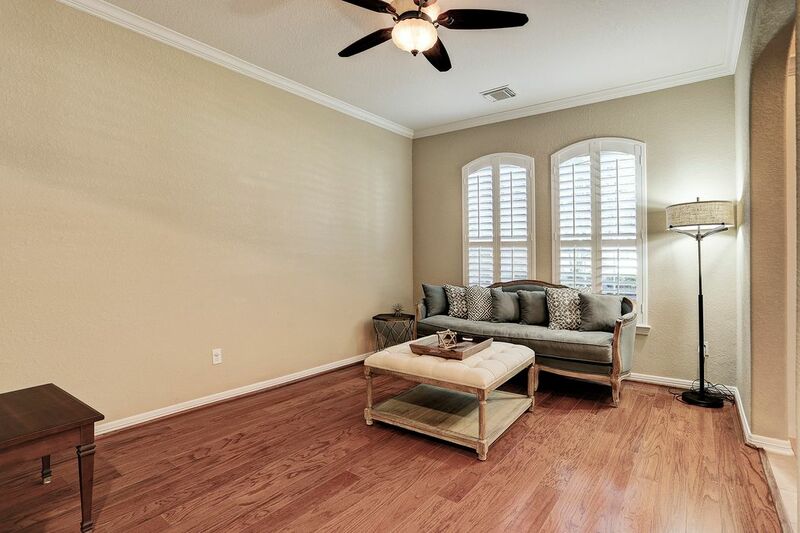 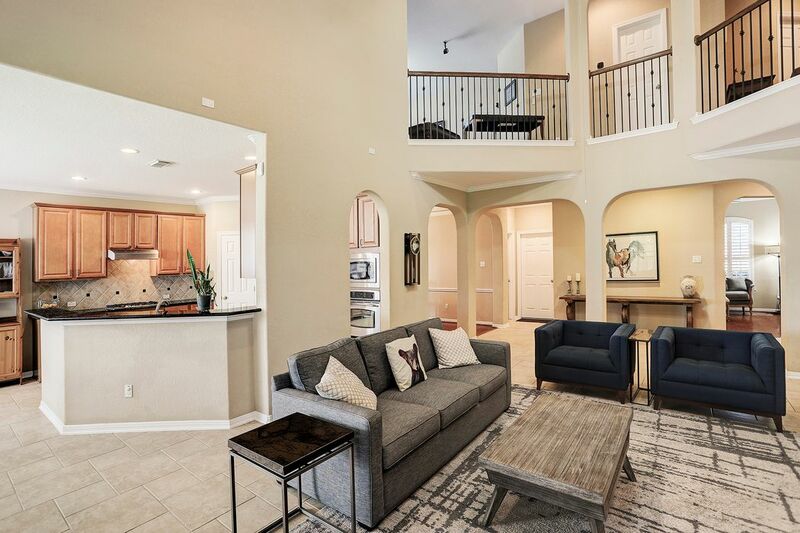 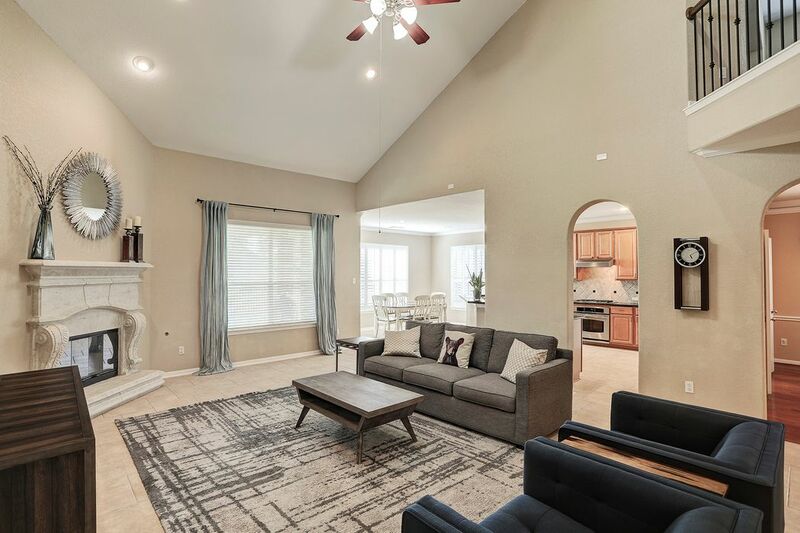 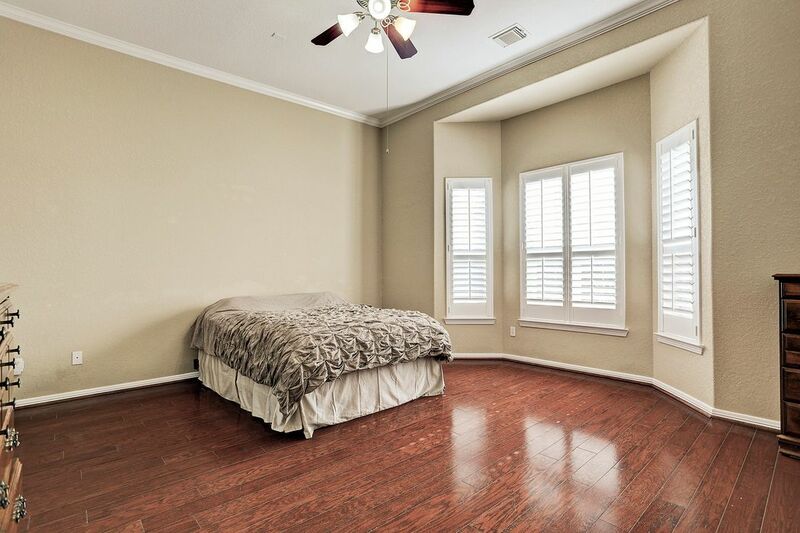 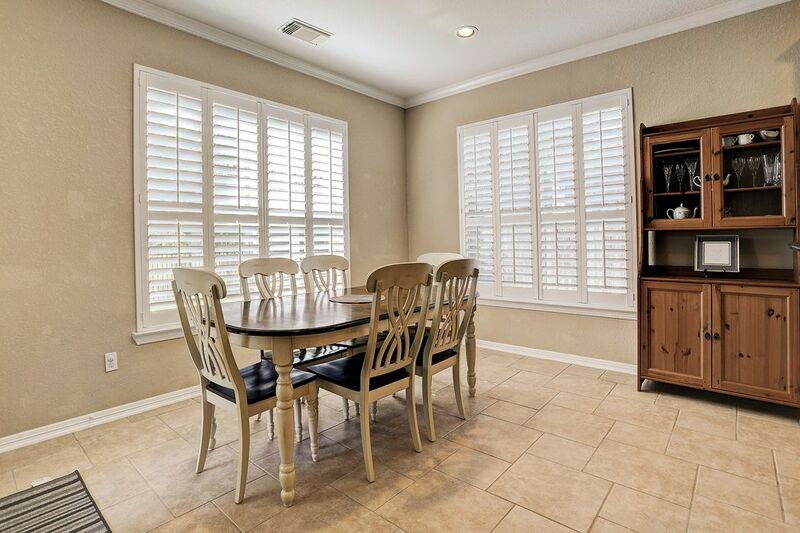 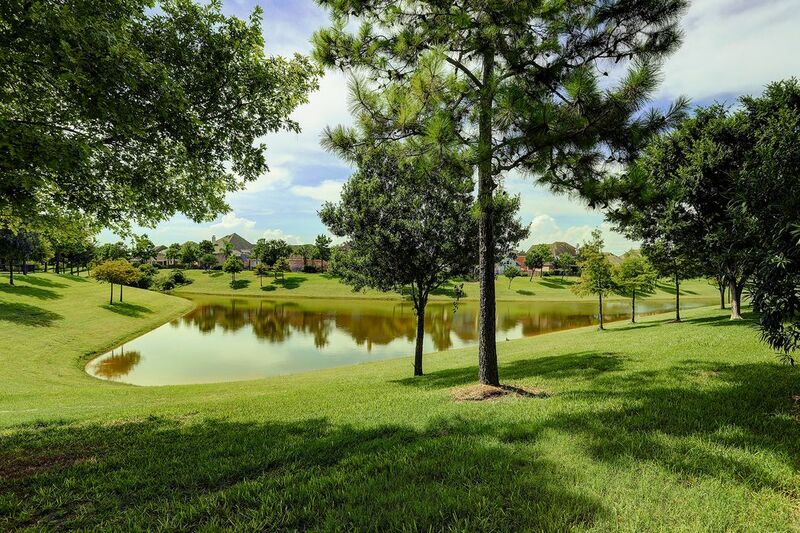 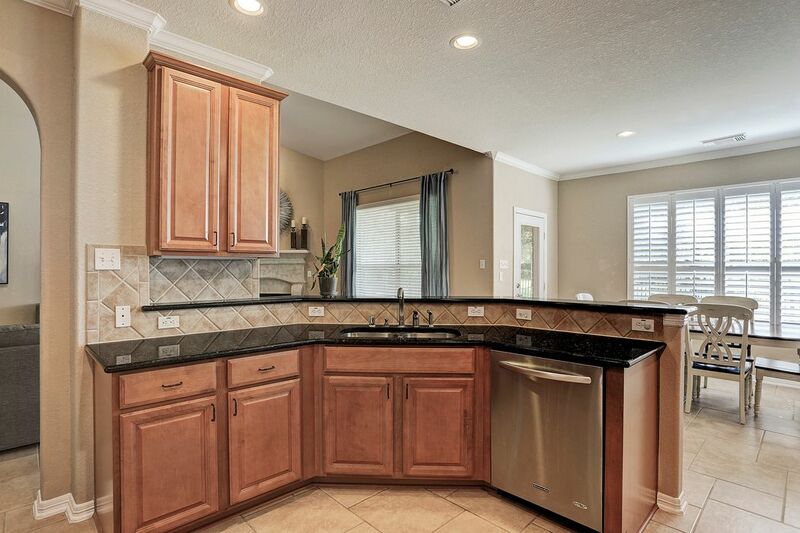 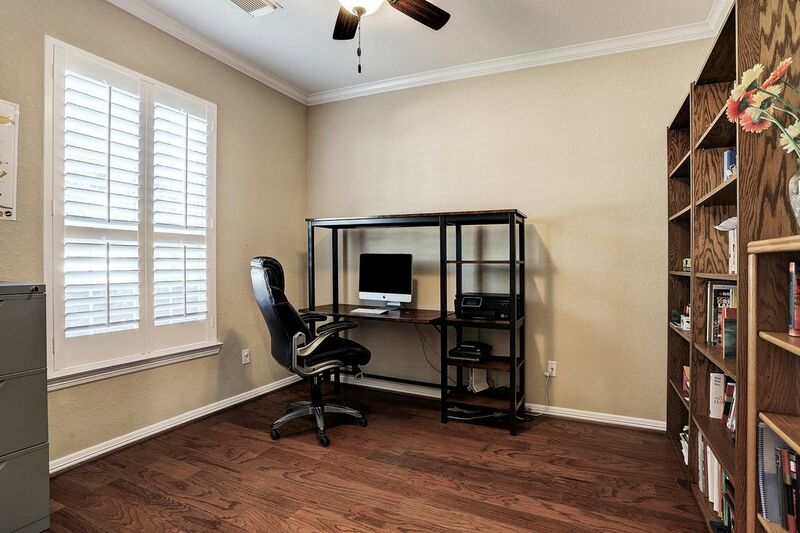 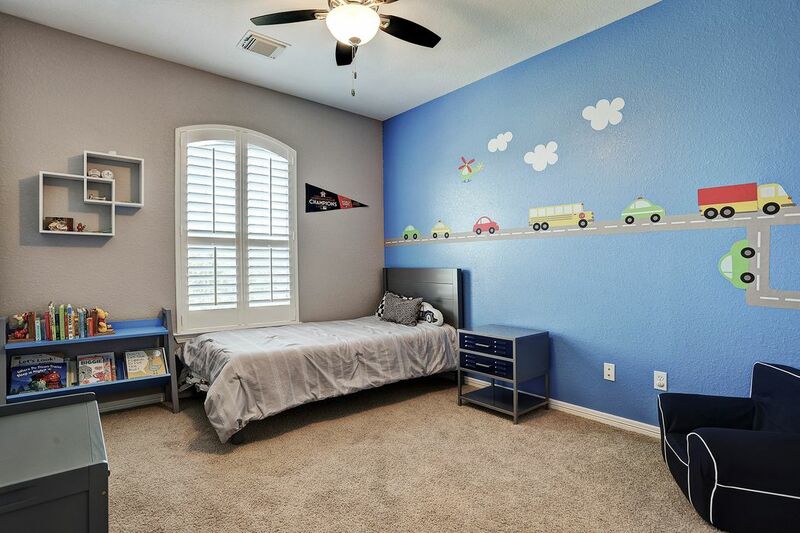 Close access to all the subdivision amenities, 288, Pearland Town Center and all the shopping and dining you could want.